t's that time of year again! Come and join our family at this year's Fall tryouts! Tryouts will be held on September 12th at 7:00PM at SFU East Gym. 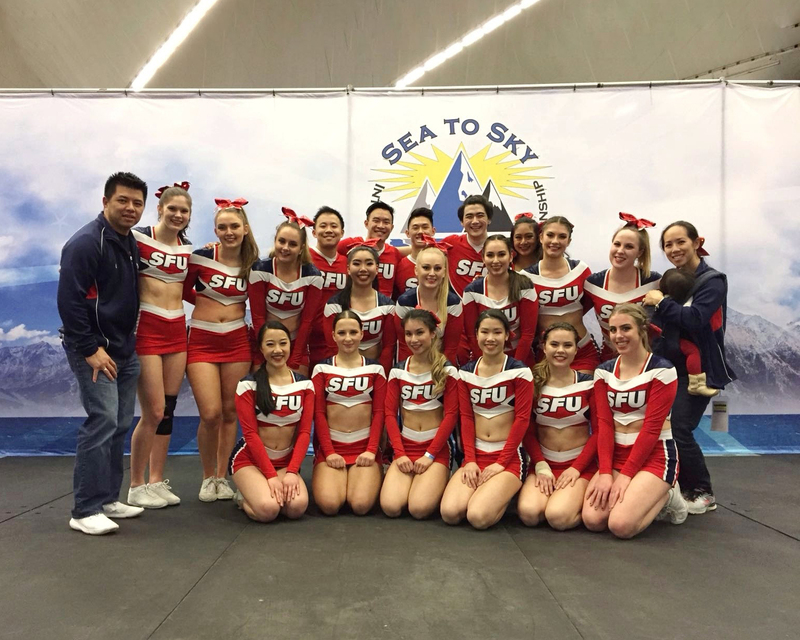 Come try out for a spot on SFU Cheerleading! At fall tryouts we will be looking for athletes to fill both our competition team and our developmental team. Previous cheerleading or gymnastics experience is not necessary for the developmental team but is recommended for those looking for a position on the competitive squad. Tryouts will involve physical fitness and ability testing with some time to showcase any cheerleading or gymnastics skills. Please come prepared with proper gym attire and your student card. *Anyone wishing to tryout must have filled out the online Recreation waiver in order to have access to the fitness facilities. 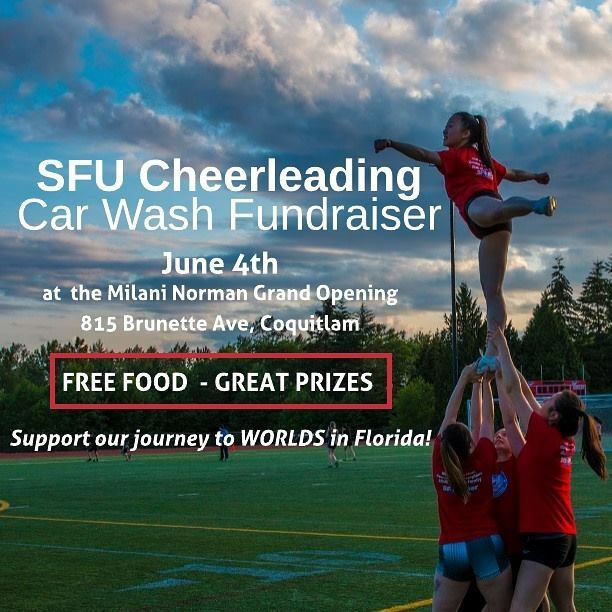 Bring water, student card, care card, and a positive attitude! Successful tryout candidates should be prepared for a second tryout on Sunday, September 16th at 7:00pm. The team practices two days per week, typically Wed/Thurs and Sunday evenings. If you have questions, feel free to contact us by email or any of our social media accounts! Check out our booth at Clubs Day on Sept 11th or Sept 12th for more information or visit us on Facebook! It's that time of year again! Fall tryouts will be held on September 13th at 7:00 at SFU East Gym. Successful tryout candidates should be prepared for a second tryout on Thursday, September 14th at 8:00pm. The team practices two days per week, typically Wed/Thurs and Sunday evenings. Check out our booth at Clubs Day on Tuesday, Sept 12 or Wednesday, Sept 13 for more information or visit us on Facebook.